Though I have been painting all my life, recently I have been primarily working with pastels and oils. My style crosses Realism with the softer edges and painterly qualities of Impressionism. 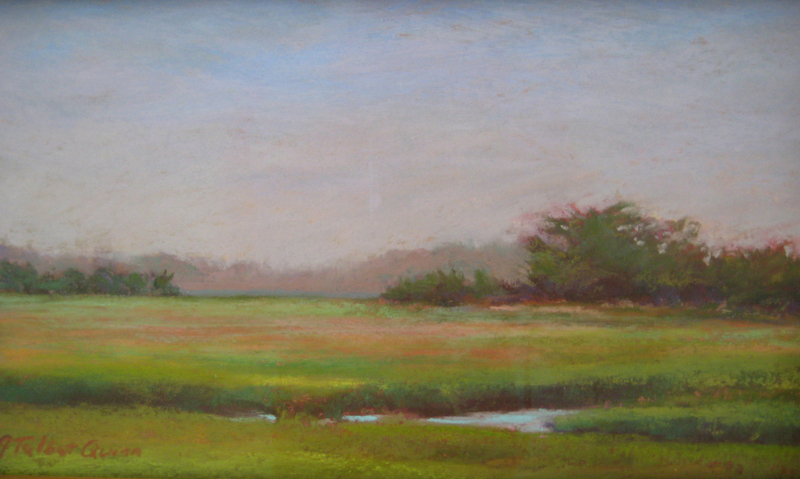 As a Plein-aire painter, I love to explore and capture the gentle beauty and spirit of New England landscape. The winter months find me concentrating on painting still lives also from direct observation. A graduate of Massachusetts College of Art with a B.F.A. in both painting and art education. I have taught students art and photography in area schools. Over the years, I have attended workshops and classes at the Creative Arts Center in Chatham, Castle Hill in Truro, Provincetown Workshop for Fine Arts and the Worcester Art Museum. Presently, I am a member of the Princeton Arts Society, Worcester County Plein-aire Painters, the Pastel Painters Society of Cape Cod and a juried member of Academic Artists Association. My work can be seen at the Sandpiper Gallery in Wellfleet. Recently I have discovered the luminous colors and unique light of Prince Edward Island's East coast and have started painting there also.